Theologians in Africa, together with the Biblical Research Institute staff, should be commended for putting together this volume to help the church in Africa to comprehend and work through some issues of a spiritualistic nature that are critical to the health of the church in Africa. May the Lord bless each of us, as we seek to advance the mission of the church through this book and the many other resources that the Holy Spirit places at our disposal as we anticipate Christ’s soon coming. 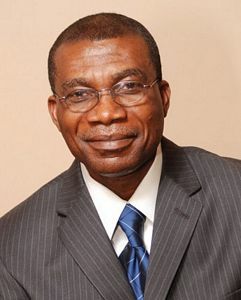 Kwabena Donkor is an associate director of the Biblical Research Institute at the General Conference of Seventh-day Adventists in Silver Spring, Maryland. He is editor of The Church, Culture, and Spirits: Adventism in Africa, and he has contributed to numerous journals and the book Reclaiming the Center: Confronting Evangelical Accommodation in Postmodern Times. He and his wife, Comfort, have two adult children.